Sipping on a cold beer on a weekend night, alone or with a friend, is a familiar hobby for a generation of young people in Vietnam. Beer, a now-indispensable fact of life in both urban and rural areas, has generated endless discussion. The rise of the local craft beer industry is one example of how Vietnam cannot seem to get enough of the drink. Vietnamese taste for craft beer is a modern development. To appreciate how this came to be, one must look at the history of beer in Vietnam. But when exactly did beer join the ranks of coffee and pho as an integral part of Vietnamese food and drink culture? Along with bread, the French brought beer to Vietnam in the late 19th century. Alfred Hommel established the first brewery in Hanoi in 1890 to quench the thirsts of French soldiers and sell his product to locals. At the time, Vietnamese people were unfamiliar with the drink which was a far cry from the traditional rice wines served in their homes. 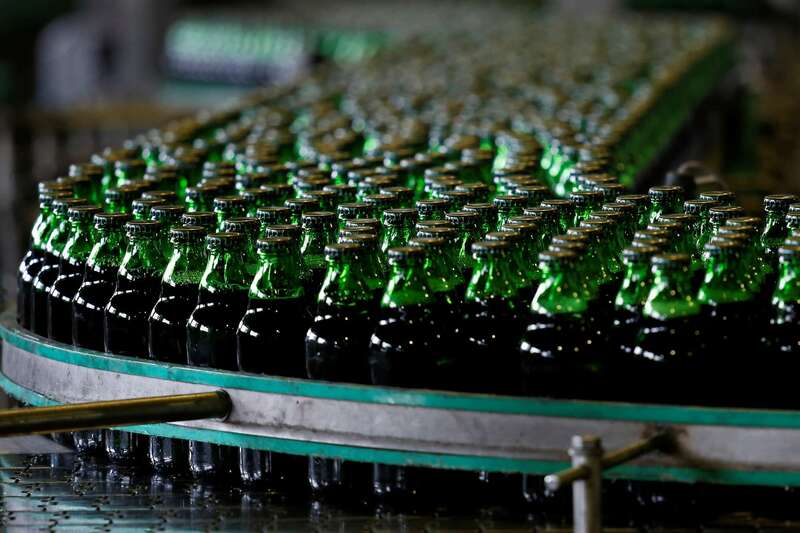 Starting with only thirty employees producing 150 liters of beer every day, Hommel’s operation grew to employ about three hundred people in the next 45 years. Beer was gradually becoming a preferred beverage among the middle class—Vietnamese with extra pocket money would sip the drink to show off their refined tastes to friends. Not only was beer pleasant because of its mildness compared to strong rice wines, but it was also the most affordable international-style alcohol at the time. Imported grape and rice wines were very expensive and left mostly to the upper-class. Beer, which arrived to Hanoi in the late nineteenth century, became popular for its taste and affordability. By 1957, Hommel’s brewery belonged to the state, becoming the official brewery of Hanoi. This formed the basis for today’s Hanoi Beer, Alcohol, Beverage Joint Stock Corporation (HABECO). 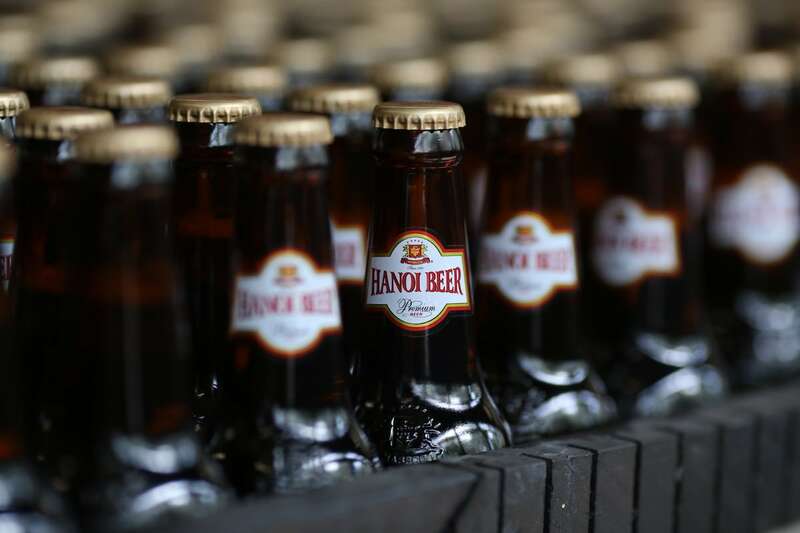 The Hanoi brewery launched its first locally styled beer in 1960, and it took off from there. The defining features of the company’s draft beer were its low alcohol content—always in the 2-4% range—and its rich, aromatic flavor. As the day went by the beer would show changes in flavor and color, often all consumed in the span of one day without pasteurization or added preservatives. Plus, the drink was affordable—at the time only seven to ten thousand VND for a glass. This made beer a common menu item all the way from street stalls to high-end restaurants. Branded in the 1960s, one could find a bottle of Hanoi Beer anywhere on the streets of Hanoi. In the 1960s, as one walked the streets of Hanoi, it was easy to spot signs advertising Bia Hoi—labeled the cheapest beer in the world—and Bia Ha Noi, with barrels outside shops carrying liters of the drink. One could see restaurants serving up draft in thick, icy glasses, and patrons sipping foam, eating peanuts, and smoking cigarettes as they shared stories. 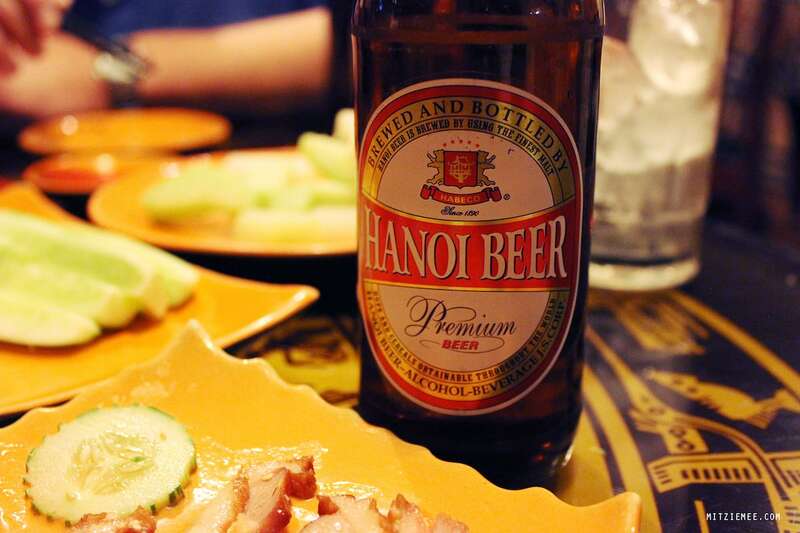 Beer was to become, and remain, a quintessential part of Hanoi’s culinary culture. Luckily, Vietnam’s southern tip was not to be left behind. Like its northern counterpart, southern Vietnamese beer has French origins. The flow of beer into Saigon was quite similar to its journey into Hanoi. In 1875, Frenchman Victor Larue opened a small brewery in Saigon. By 1910 he had expanded it to encompass a beverage and an ice factory. It continued to grow. 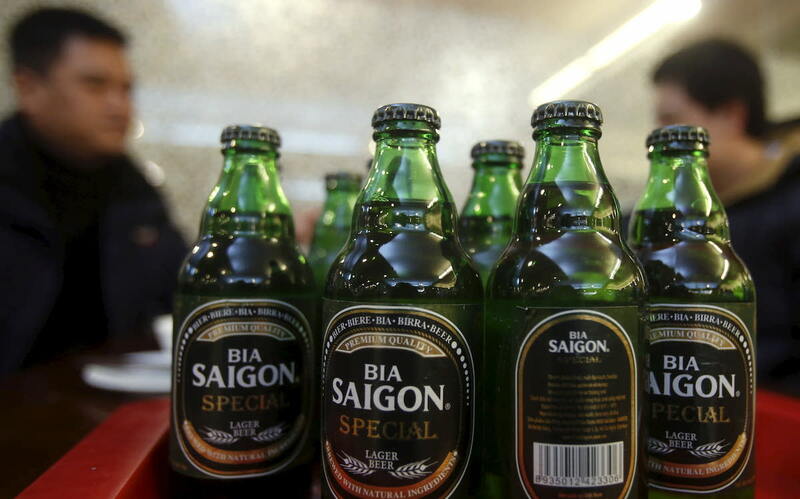 After the end of the Vietnam War, the country reunited and the company fell into the management of the Southern Beer and Alcohol Company, now known as the Saigon Beer and Beverage Joint Stock Company (SABECO). Where the North is known for Bia Hanoi and Bia Hoi, the South is famous for Bia Saigon and Bia 333. 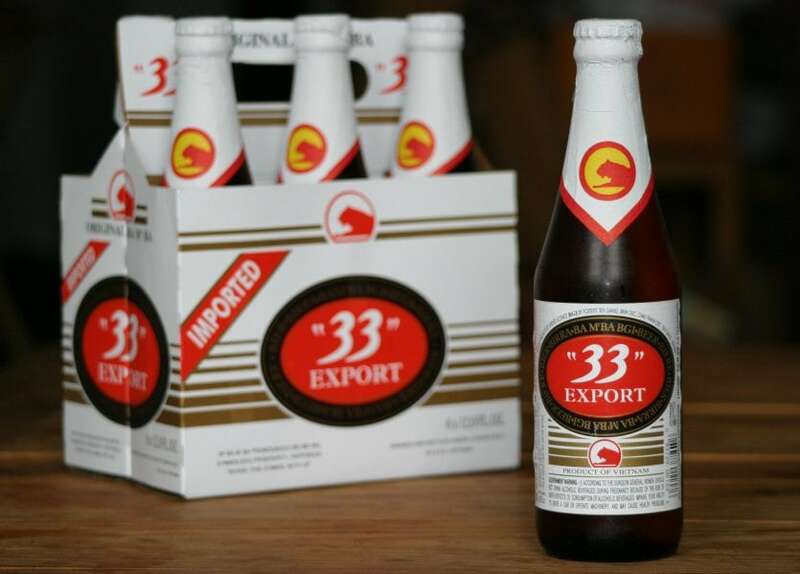 33 Export was Vietnam’s first exported beer. Its successor, Bia 333, is well-known for its southern heritage. Bia 333 has a history that stretches back beyond its current name. It was originally called “33 Export”, boasting French recipes and ingredients imported from Germany. The name came from the beer’s packaging—it was sold in bottles of 33 centiliters, or ten milliliters. And during the Vietnam War, Bia 333, or 33 Export, was the favorite among American soldiers. After the country reunified, the company began exporting the beer under its new name, Bia 333. The number was meant to signify luck and prosperity. Once the first beer export from Vietnam, the original beer, 33 Export, is now produced in France and some parts of Africa under the Heineken franchise. Through the 1990s, the most popularly consumed beers in Vietnam varied little, featuring both domestic and international labels. 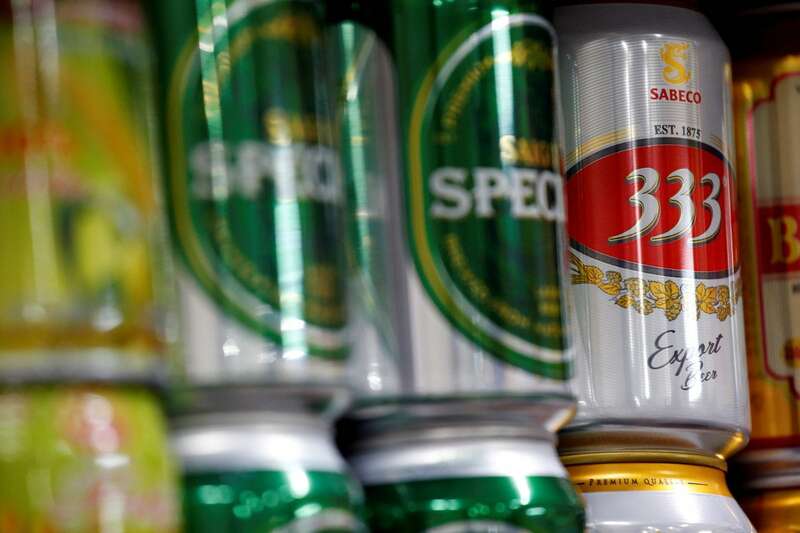 But in the early 2000s, restaurants in Saigon began to sprout up, serving Czech beer produced in their own workshops. The first and most famous of these restaurants is the Hoa Viên Brauhaus, the first beer brewing pub in Vietnam. The Hoa Viên Brauhaus, the first beer brewing pub in Vietnam, opened just in the last decade. 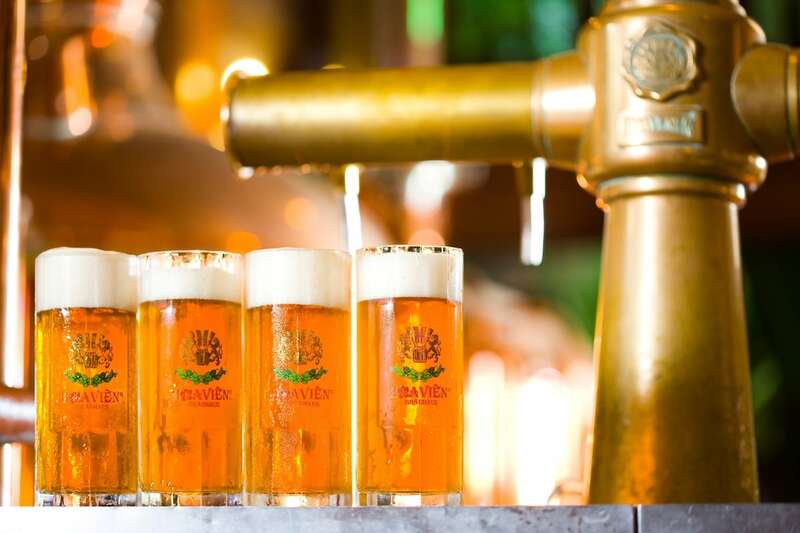 This was a result of cultural exchange between Czechia and Vietnam, and an application of the traditional brewing technologies from Pilsen, the home of Pilsner beer. But perhaps the most remarkable shift in Vietnamese beer culture has taken place from 2015 to the present day. Craft beer arose and began to grab attention with a fever contagious to domestic and foreign consumers alike. From its humble beginnings at Platinum, Vietnamese craft beer has grown to encompass nearly twenty different brands and breweries. Large and small, these are centered around Saigon. In recent years, breweries like Pasteur Street Brewing Company have helped normalize drinking craft beer in Vietnamese drinking culture. Now-familiar brands like East West, BiaCraft, Heart of Darkness, Te Te, Lac Brewing, Pasteur Street Brewing Company, and Rooster continue to generate a wealth of new brews that compliment the food at their restaurants and improve the ambiance at local hotels and bars. Vietnam’s craft beer scene does not merely represent the reproduction of processes borrowed from the west. Rather, local businesses incorporate unique, native ingredients like tropical fruits and poisonous spices to create flavors that accompany the weather, foods, and customs of the country. It is not wrong to believe that, once you try and learn to appreciate craft beers, you will not be able to go back to even the most popular international brands on the market. And so, the history of beer in Vietnam flows on. With figures predicting the growth momentum of alcohol businesses in our country to continue to spike, it seems there is a creative path waiting for beer aficionados long into the future. 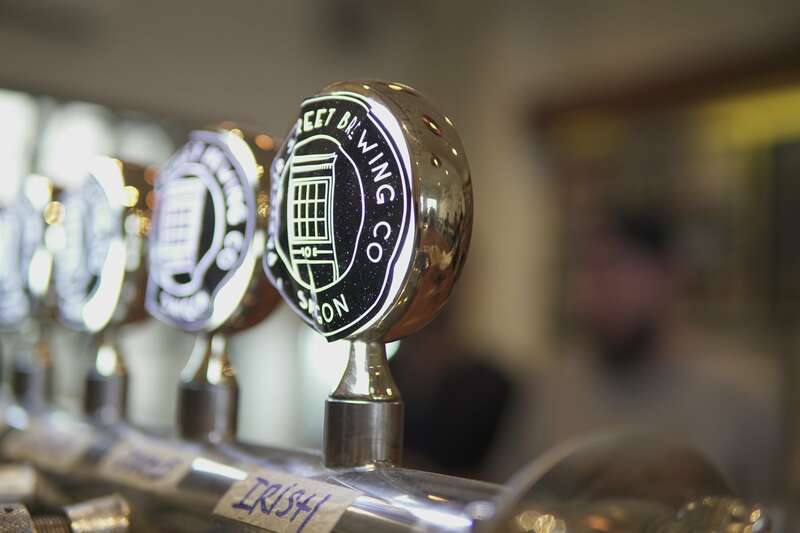 [Article] Demystifying Craft Beer Styles: What Are Lagers And Ales?